Intracranial pressure (ICP) monitoring is the most common neuromonitoring modality used in neurocritical care (NCCU) around the world. Uncertainties remain around ICP monitoring both in traumatic and non-traumatic brain injury, and variation in clinical practice of ICP monitoring exists between ICUs. This project, initiated by the ESICM NIC Section is an international prospective observational study that will be conducted in several ICUs in different countries. The objectives of the study are to explore ICP monitoring variation in practice in order to prioritise uncertainties in the clinical management of critical care patients with acute brain injury and support further collaborative hypotheses based prospective studies. 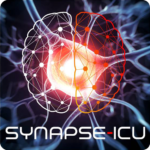 Sample Size: This international prospective observational study aims to recruit >5000 patients in coma after acute traumatic and non-traumatic brain damage admitted to >500 Intensive Care Units. Traumatic brain injury (penetrating and non-penetrating). Eye Opening of the Glasgow Coma Scale = 1 on admission to ICU or neuroworsening with no Eye opening in the first 48 hrs. Motor score of the Glasgow Coma Scale on admission to ICU <6 or neuroworsening with motor score decreased to <6 in the first 48 hrs. Acute brain injury (ABI) not admitted to ICU. Other ABI (infective CSN disorders, ischemic stroke) not included in the inclusion criteria. Eye opening on admission > 1 or Motor score of the Glasgow Coma Scale on admission to ICU = 6 without neuroworsening in the following 48 hours. Endpoint: The primary endpoint of the study is the exploration of the effect size of the variation in clinical practice around ICP monitoring in acute brain injury patients. Screening and recruitment: 12 weeks at each centre. Follow-up: outcome measures will be collected at 3-6 months. Centres prepared to participate must obtain approval of the local ethics committee or review board. No. Participation in the trial is completely voluntary. If you are interested in becoming a National Representative (NR), you can select an option during your registration of interest (check our current NR List). An NR arranges the ethics committee or IRB approval on national level and is the main contact for local investigators regarding ethical queries. The NR is requested to promote the trial at a national level using his network (example of promotional material). The project received a €50,000 grant from ESICM after inclusion in the Trial Group portfolio. 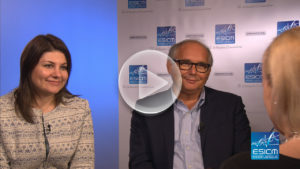 In this comprehensive icTV interview, Giuseppe Citerio and Lara Prisco discuss the questions that the SYNAPSE-ICU study hopes to answer, which centres they are seeking to join and the timeline for this important ESICM Trials Group project.